I have a secret to tell you. I love macaroni! Although it is a love that stems from my love for cheeses, macaroni has been the best vehicle to deliver many different types of cheeses into one dish. Here are a few macaroni confessions ranging from the best Mac-N-Cheese in Tulsa to an awesome macaroni recipe you can make at home. Enjoy! 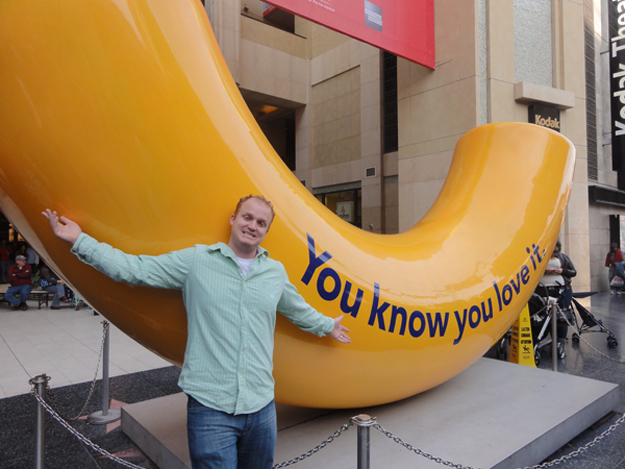 Me in front of a rather large macaroni advertisement for Kraft Foods on Hollywood Boulevard in Los Angeles. You can’t deny it. 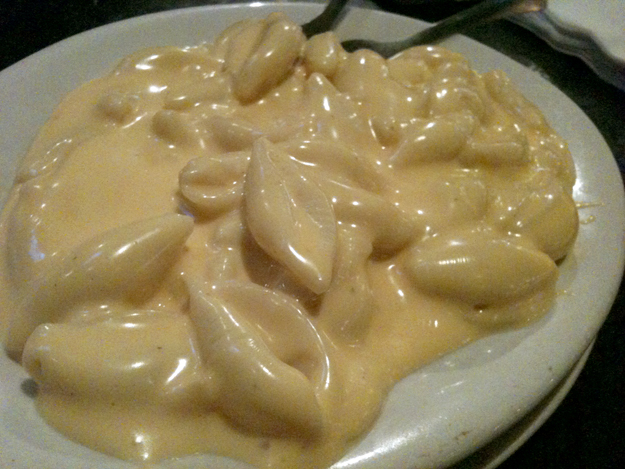 The Brook Restaurant is home of the best Mac-N-Cheese around. No it’s not a gourmet, complex dish like the recipe below. What The Brook serves up is amazingly creamy and every comfort food addicts’ dream. Once you’re hooked, it gets in your veins, and just like that it starts making appearances in your dreams. Ok…forgive me. I am a belligerent addict….try it for yourself or just make fun of me in the comment section below! If gooey, creamy Mac N Cheese is not your thing, you may be like me and love all kinds of Macaroni and Cheese, or may I recommend the recipe below. The recipe below is Macaroni and Cheese Avant Garde, which, to me means Mac-N-Cheese a little fancied up with more complex flavors. 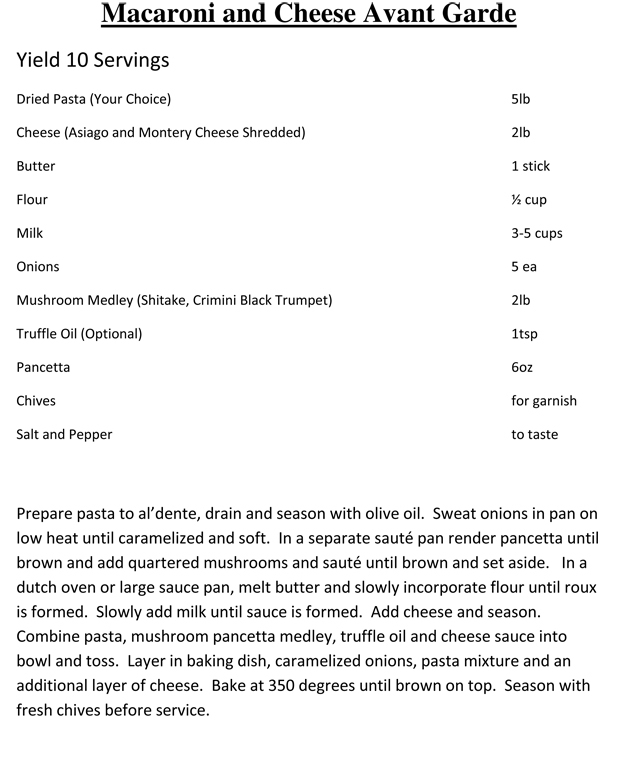 This wonderful recipe comes from Platt College instructor Chef Tiffany Poe. Look for a cookbook from her in the future. This recipe was also featured on the OKFoodie show live at Sage Culinary Studio where they host cooking classes for adults and kids.